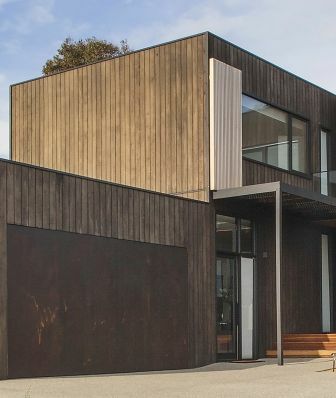 A new pilot program has been launched by Weathertex and Queensland University of Technology (QUT) to understand the chemical changes that take place during the production of external timber cladding. A collaboration between industry and academia, the intended outcome of the program is to identify a way of enhancing the commercial value of plant materials through their structure. Executive Chairman of Weathertex Paul Michael said the company initially became interested in the work of QUT upon discovering an R&D project they were undertaking. This project investigated the utilisation of steam explosion of wood to create pig feed liquor and the resultant waste of biomass fibre. “Weathertex uses steam explosion of wood to create a biomass fibre, resulting in a by-product of steam liquor that is currently treated as a waste product and thrown away. I contacted Dr Mark Harrison at QUT to talk about this further, as the synergies were obvious and exciting. “Not only are we investigating commercial uses for the waste liquor created during our process, but also a synthetic substitute for one of the three key (and increasingly difficult to source) ingredients that make up Weathertex products. This is an incredibly valuable and exciting collaboration between industry and academia,” Mr Michael said. Dr Mark Harrison of QUT is leading the research team’s project that uses thermochemical processes to modify the structure of plant materials and enhance their commercial value. The team is applying the techniques developed in a current Rural R&D for Profit project to understand the effect of specific timber feedstocks on the quality and physical properties of the timber cladding produced by Weathertex, a member of the FWPA Bioenergy and Biomaterials interest group. Dr Harrison explained QUT began engaging with Weathertex as a result of a webinar organised for the FWPA Bioenergy and Biomaterials interest group. “We have been in frequent contact with them ever since and, following a site visit earlier this year, we are integrating this pilot study as part of the Rural R&D for Profit project A Profitable Future for Australian Agriculture: Biorefineries for Higher-Value Animal Feeds, Chemicals, and Fuels. “Both QUT and Weathertex are confident the results obtained from these pilot studies will underpin a longer-term research and development collaboration,” Dr Harrison said. This pilot project is being supported by Sugar Research Australia. It has been made possible through funding from the Australian Government Department of Agriculture and Water Resources as part of its Rural R&D for Profit program. This project is a collaboration between several R&D Corporations including FWPA.